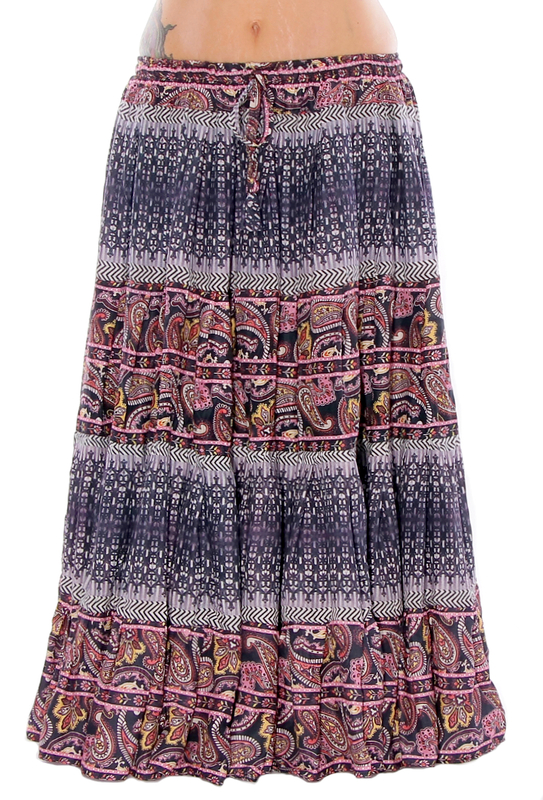 This gorgeous tribal skirt is digitally block printed with geometric shapes and paisley patterns of blue, pink, yellow, and orange. 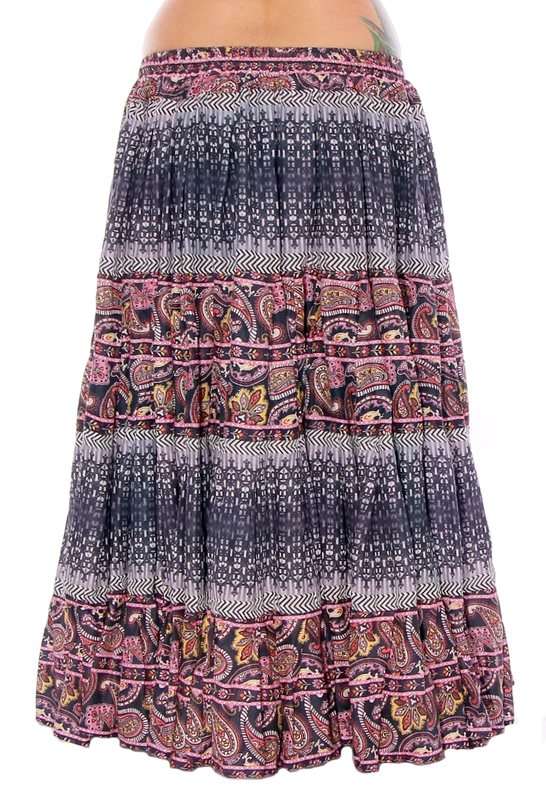 This gorgeous cotton tribal 25 yard gypsy skirt is digitally block printed with geometric shapes and paisley patterns of black, pink, yellow, mauve, and orange. 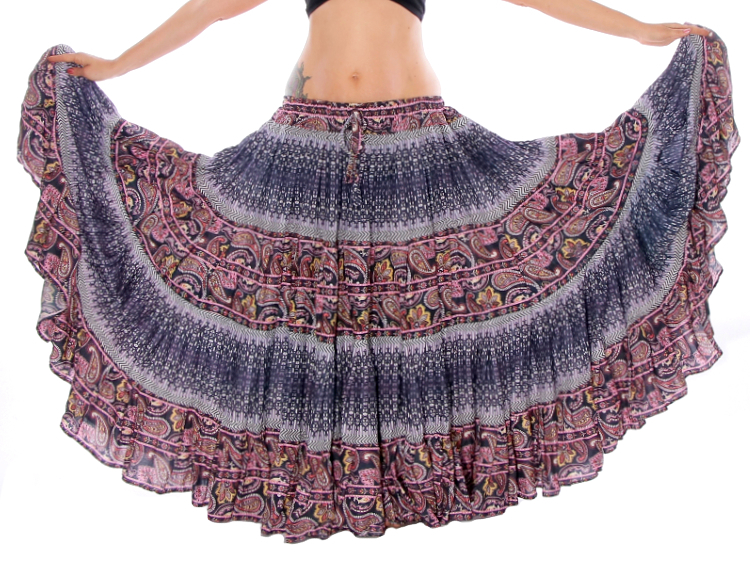 The full-skirt construction makes it perfect for American Tribal Style / ATS costuming and an excellent choice for layering. Yardage varies from 21-25 yards. 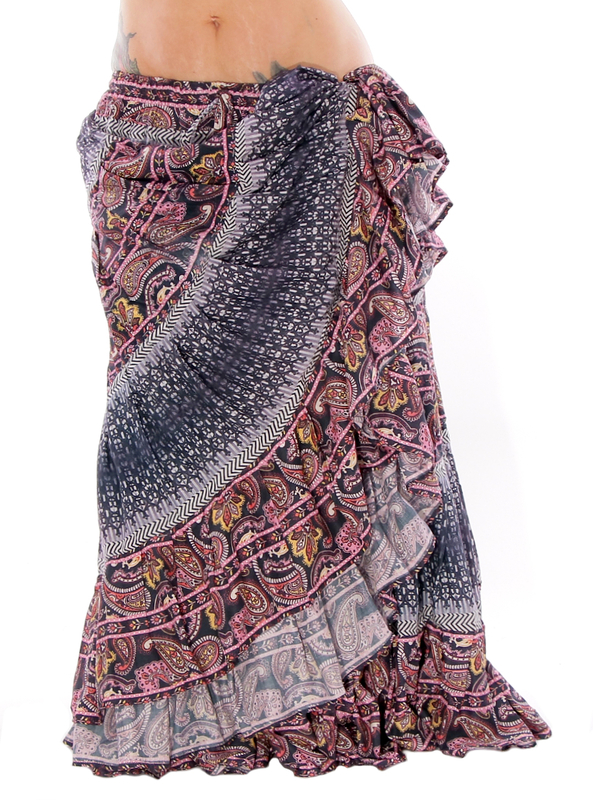 Elastic and drawstring waistband make a comfortable, adjustable fit. 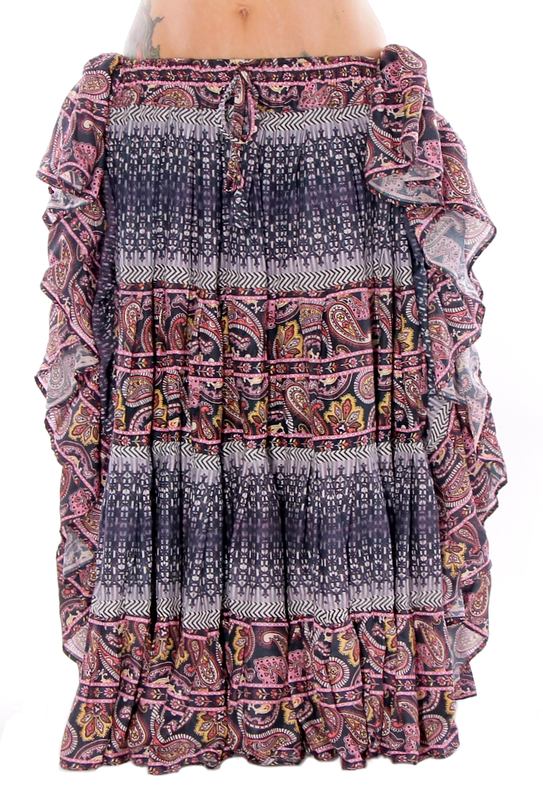 Rayon blend fabric. Made in India.